A busy morning at our support group this week with local GP Dr Chris Brown along to discuss with us how we mindfulness and relaxation can help. 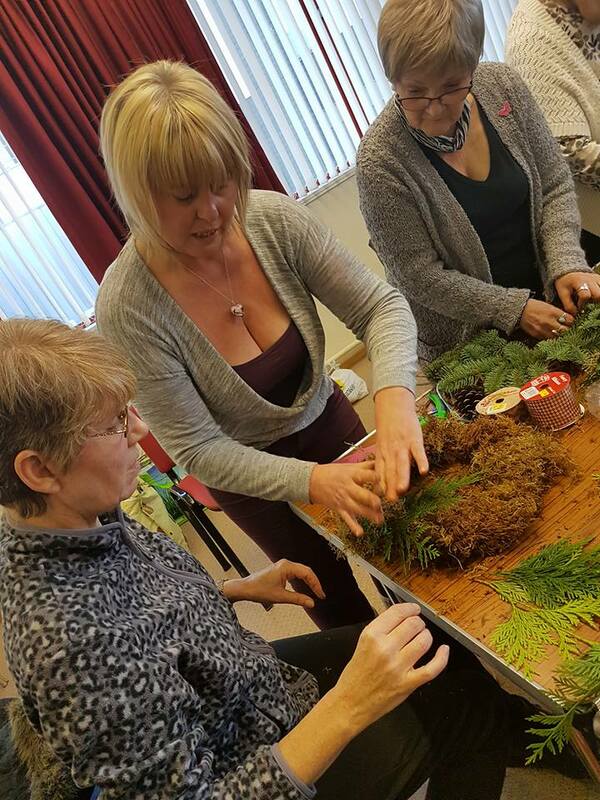 We also had a go making Christmas door wreaths courtesy of Gail Harris from local florist Rosie in the Garden. All this while being videoed by the team at Public Health at the Council.